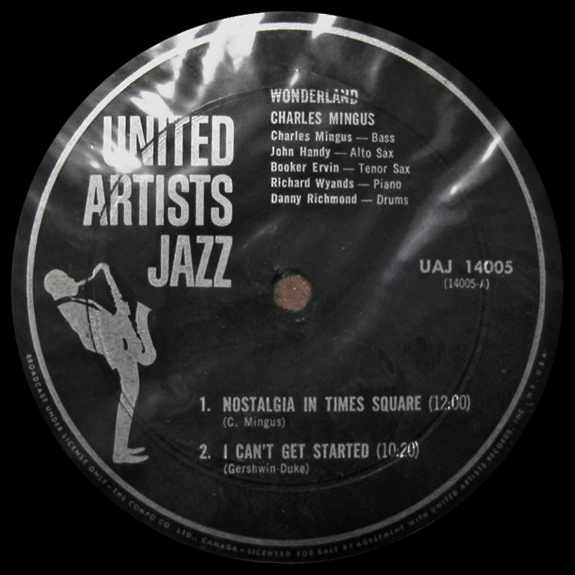 United Artists Records was founded by Max E.Youngstein of United Artists in 1957, initially to distribute records of its movie soundtracks, though it soon branched out into recording music of a number of different genres, including jazz . The company recruited Alan Douglas in 1962 to run its new jazz department. There were only a few jazz titles after about 1963. 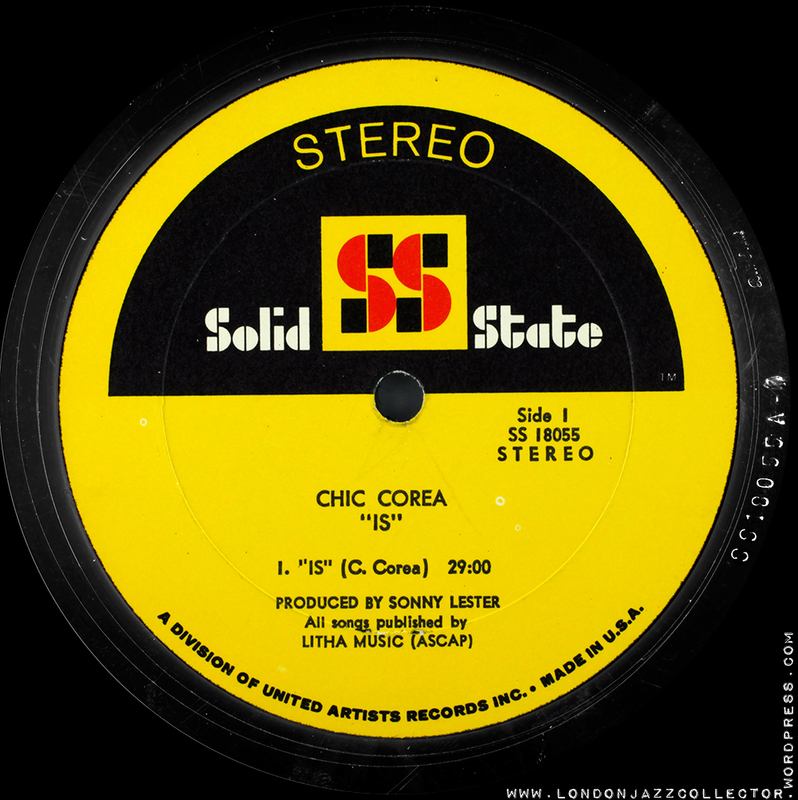 Around 1966 a new subsidiary jazz label Solid State was founded, which lasted until 1968. At the end of the decade, in 1980, everything was swallowed up by EMI, who put the US assets under their US operating arm, Capitol Records. Deep groove, white promo, red mono “High Fidelity” (UAL series) , blue stereo (UAS series). 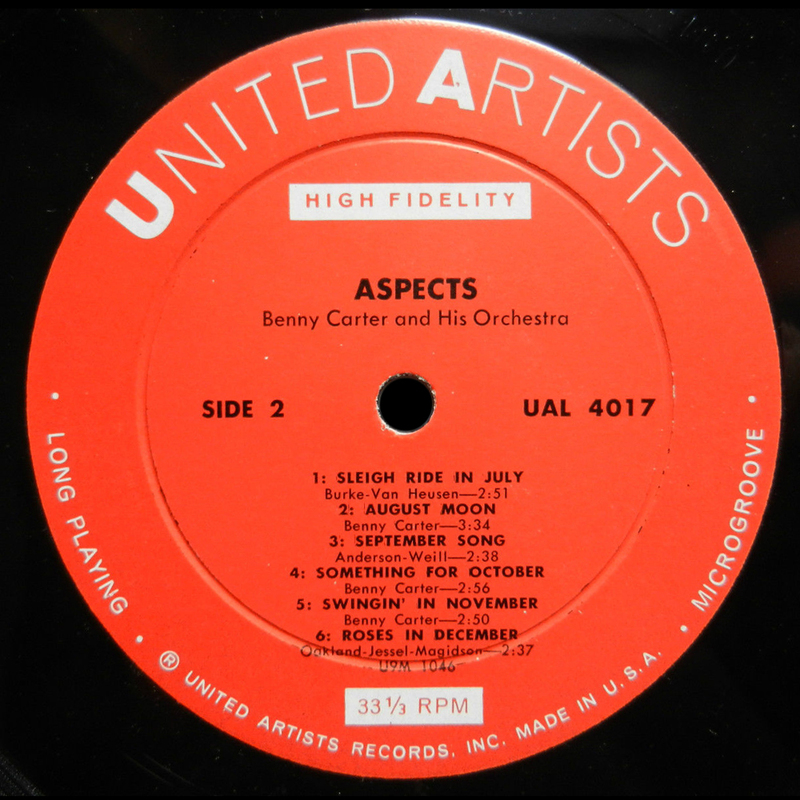 The pale blue and red plain labels were replaced by a black label with “spotlites” adopting the previous mono and stereo colours red and blue, and UA corporate beige, in circles (spotlites) on the upper perimeter. The black label was in use 1858 – 68, with a few cosmetic changes in font, from serif to non-serif, in its final years. 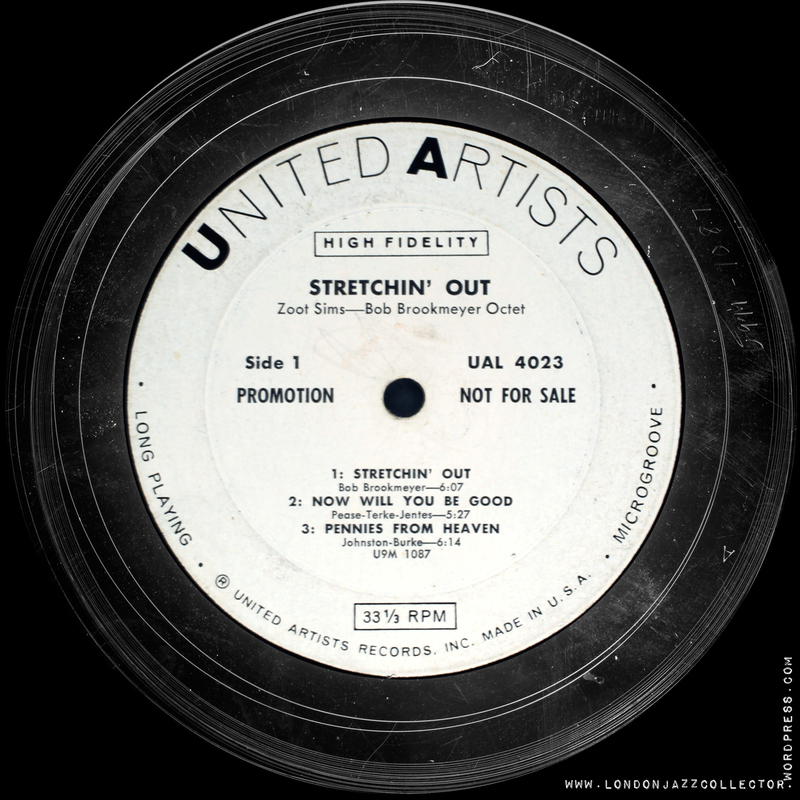 “Bendy tenor” label, introduced during the brief tenure of record producer Alan Douglas. Manufacturing quality is uneven, some with noisy pressings even when superficially appearing clean, others sound fine. 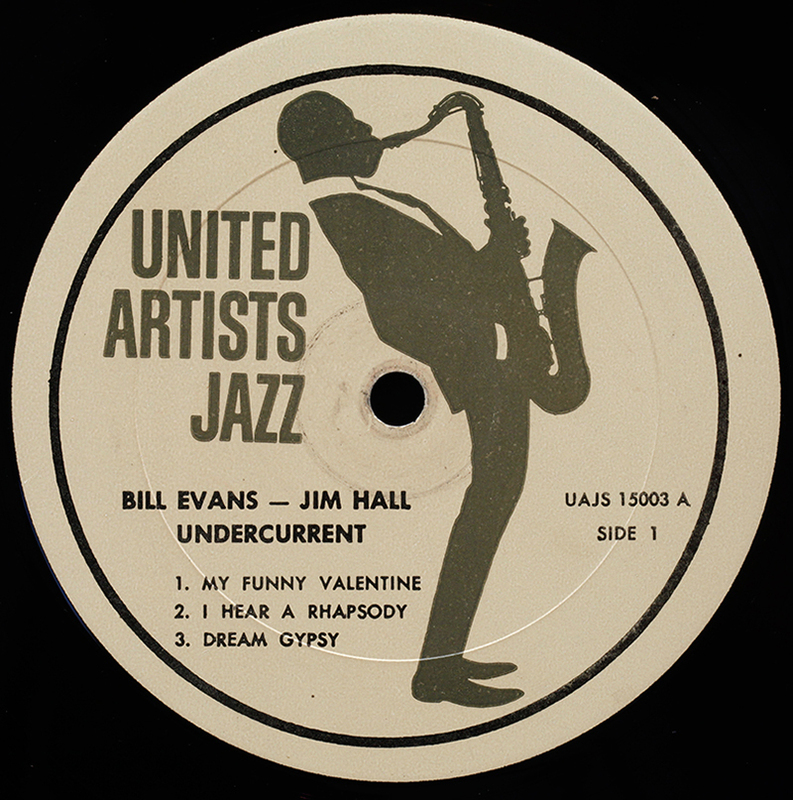 This short-lived initiative by United Artists Jazz, to rival Blue Note and Prestige, threw up some interesting titles, some of which have not been released elsewhere. 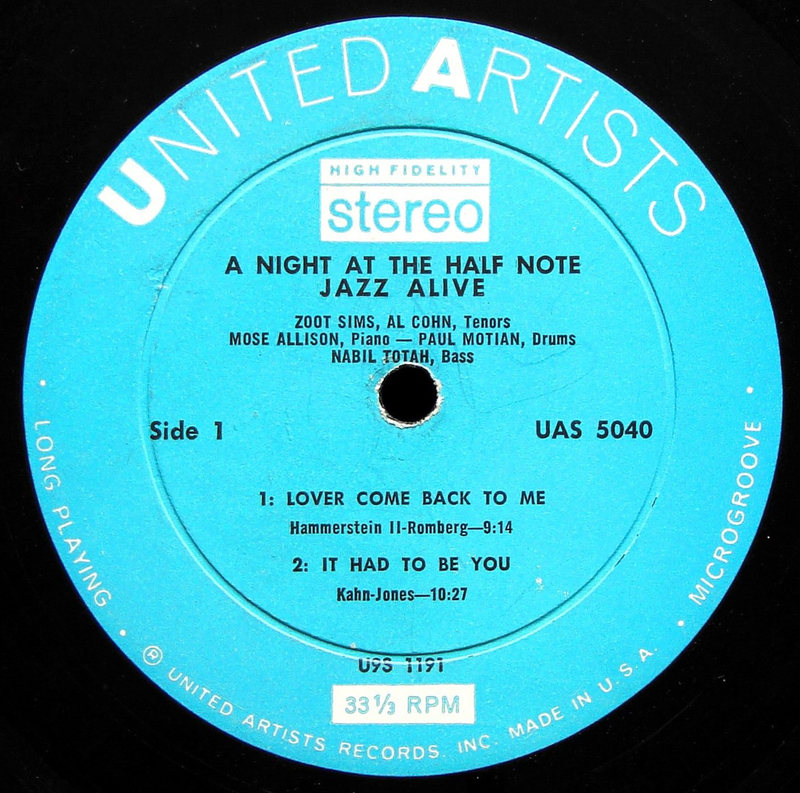 Some of the US mono versions were pressed by Plastylite and have the cursive “P” in the runout. 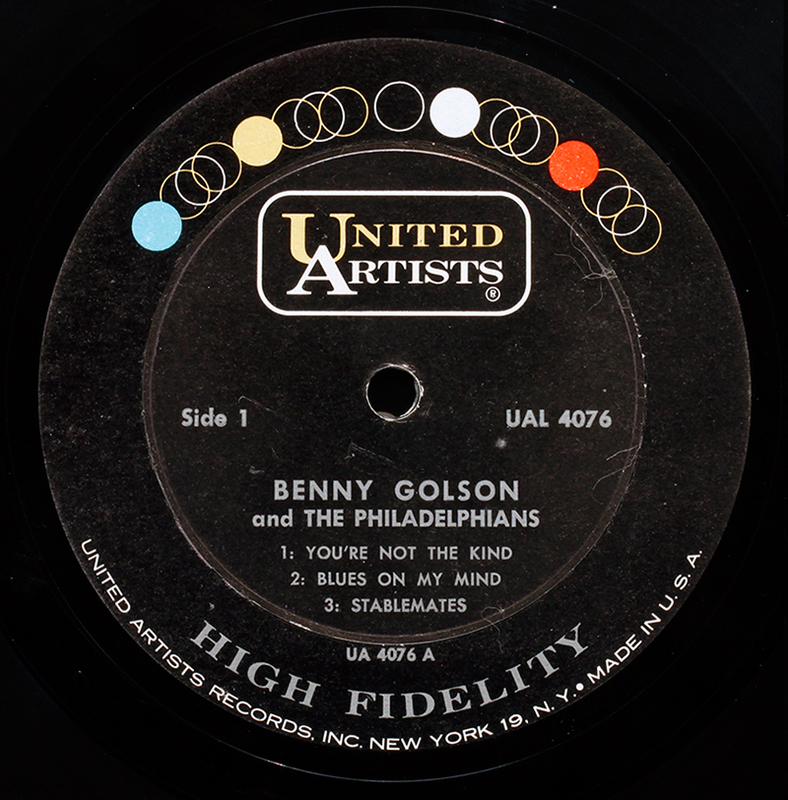 Short-lived Solid State sub label, a Division of United Artists. Audio quality is variable, ranging from average to quite poor. United Artists was without a sound engineering champion, and never really managed to get a focus on record manufacturing quality. Occasionally a Bell Sound mastering stamp in the runout, as here. 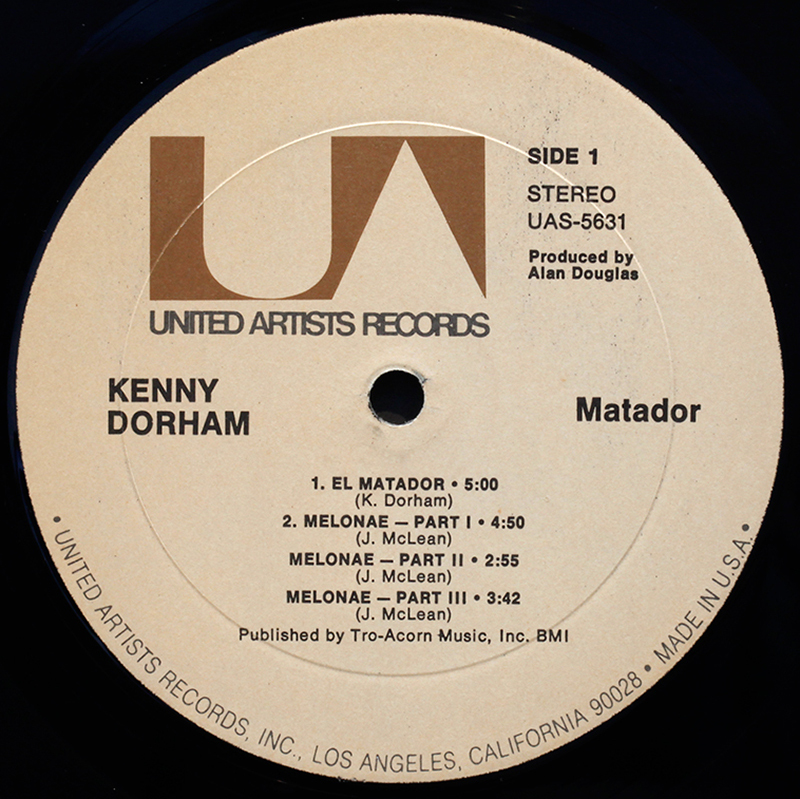 In 1972 United Artists purchased the masters of the Alan Douglas collection, recordings from 1962-3, which were then reissued on the tan label as the Alan Douglas Collection , with alternative covers. The sound is much more “modern” stereo, silky vinyl quality is very good on my copies. 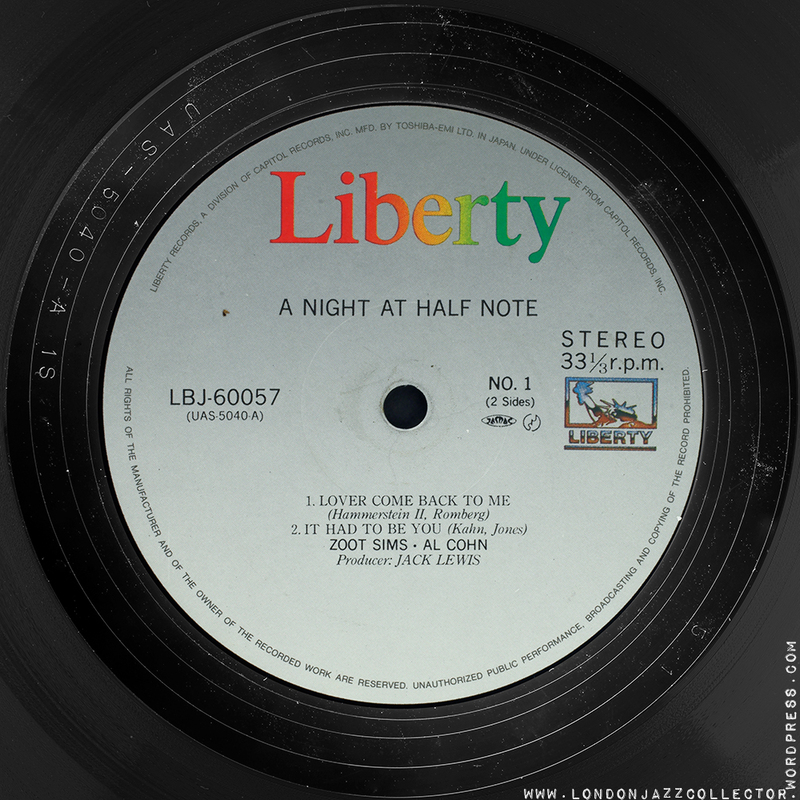 United Artists Jazz recordings were released in Japan during the mid-80s on a distinctive silver “Liberty” label, the Liberty trademark being owned by Capitol Records Inc, the US management arm of EMI. The mastering and pressing quality of all these titles is of the highest order, certainly the best quality Japanese reissues of any kind, superior to King, Victor, and later Toshiba. European releases follow the black label/spotlites corporate design with tan replaced by yellow. Brits leave the colours out completely, black and silver. Thanks for another Helpful page. Just starting to pay attention to early UA, some excellent albums ! I have a Solid State reissue of “Money Jungle” with a serious pressing defect on one side – horrible. Variation 3 was a West Coast pressing by Research Craft of Los Angeles, CA, which had been purchased by Liberty in 1965 and remained part of the Liberty/UA apparatus all through Capitol’s 1979 acquisition of UA, until 1981 when it (and All Disc Records of Roselle, NJ; plus a tape duplicating facility in Council Bluffs, IA) was sold to the ElectroSound Group which already owned a plethora of pressing and duplicating plants. Research Craft pressings, like Monarch-pressed LP’s, had a pressing ring a small millifraction below 2.875″ diameter. Variation 4, probably pressed by All Disc, has label typesetting by Keystone Printed Specialties of Scranton, PA (same entity that did label copy for Blue Note lo those many years), and the lacquer mastering was handled by Sol Kessler of Bell Sound (Kessler, from conversations I had in the mid-1990’s with a former Bell Sound colleague, Joe Brescio, always used machine-stamped characters to spell out the matrix numbers in the deadwax – and when Kessler went to another studio, Mediasound, in 1970, so did the stamped characters).